The Football Association of Wales and Horizons/Gorwelion are delighted to announce a collaboration to help promote Welsh music across the FAW’s media channels. The FAW aims to support upcoming Welsh artists by promoting their music on FAWTV, social media channels and FAW events. The collaboration allows Horizons/Gorwelion music to be used as part of FAW generated content, allowing an exciting opportunity to showcase upcoming Welsh artists to the world and to new audiences. Horizons/Gorwelion is a scheme in Wales which helps develop new, independent contemporary music in Wales. Since its inception in 2014, Horizons has supported over 135 artists, from over 50 towns, across 20 counties in Wales. From the diverse mix of music, Horizons enables artists to utilise studio time, photography and artwork, promotion of releases, equipment, video production and touring costs. 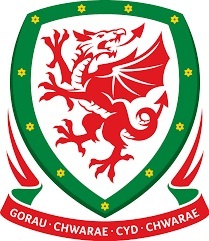 The Football Association of Wales is the third oldest Football Association in the world, having come into existence in 1876. The FAW have had recent success with the Men’s side reaching the semi-finals of Euro 2016 and the Women’s side are currently unbeaten in their quest to qualify for their first ever World Cup. The collaboration kicks off this Friday on #DyddMiwsigCymru (a national campaign to promote Welsh language music) with the FAW social media content featuring a track from Aberfan singer and electronic producer Eadyth Crawford. Eadyth also joins Horizons/Gorwelion live on Friday for a concert to the 2,000 students at Gower College Swansea, Gorseinon campus – as part of an all day, 4 location event for the BBC, headlined by the Goldie Lookin’ Chain. Keep an eye out on our official Twitter feeds (@FAWales @Cymru) and other FAW social media channels for the latest Horizons music and follow Horizons/Gorwelion @horizonscymru for live coverage of the event on Friday and all the latest from the Welsh music scene.